But of course not. 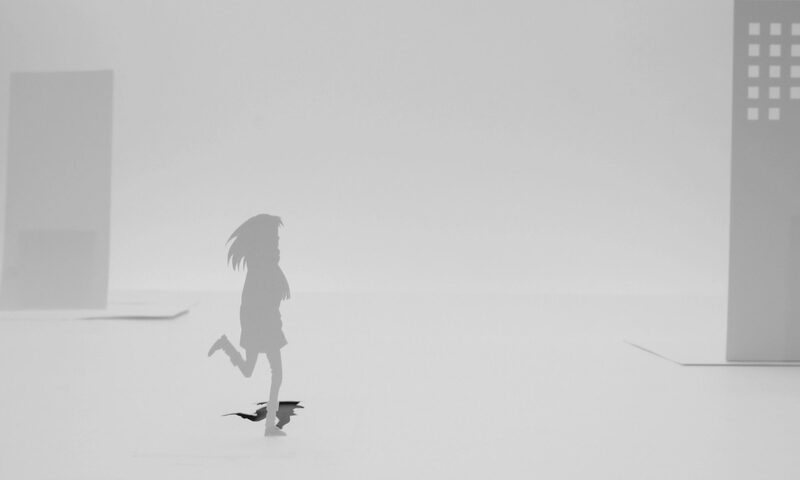 After all, the story is nowhere near the finish line. Hell, I don’t even think the manga is anywhere near the finish line. Even so, I just wish the adaptation could have ended on a big moment. Something to keep me excited as I wait for the second season, y’know? 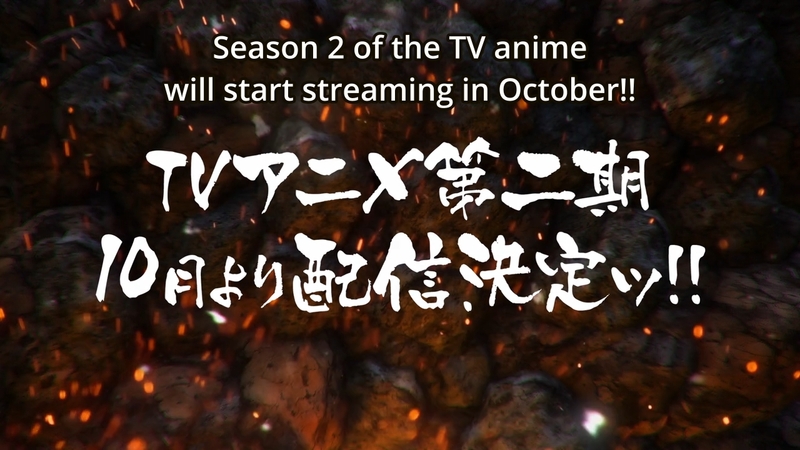 Yeah, yeah, the second season will air in the fall, so it’s not like I’ll have to wait long. But this is such a forgettable episode. Actually, it’s even worse than the last one. At least a murder hotel is somewhat compelling. Betting money at the racetrack? C’mon. 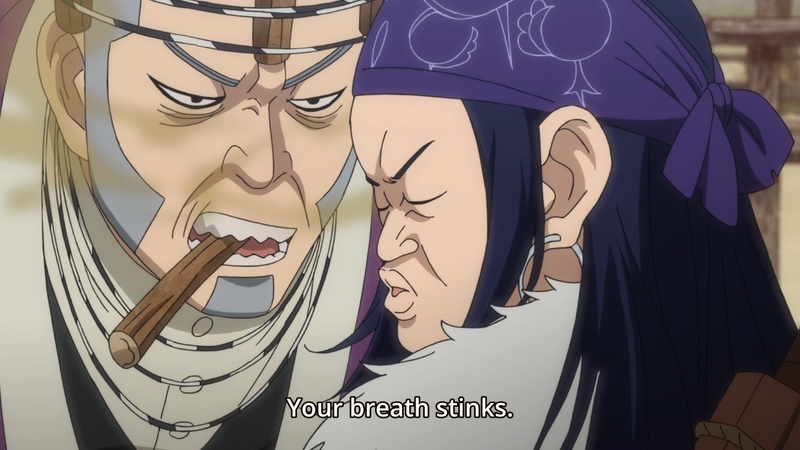 Basically, Sugimoto and company bump into a fortune teller, and she starts taking advantage of the gullible Shiraishi. 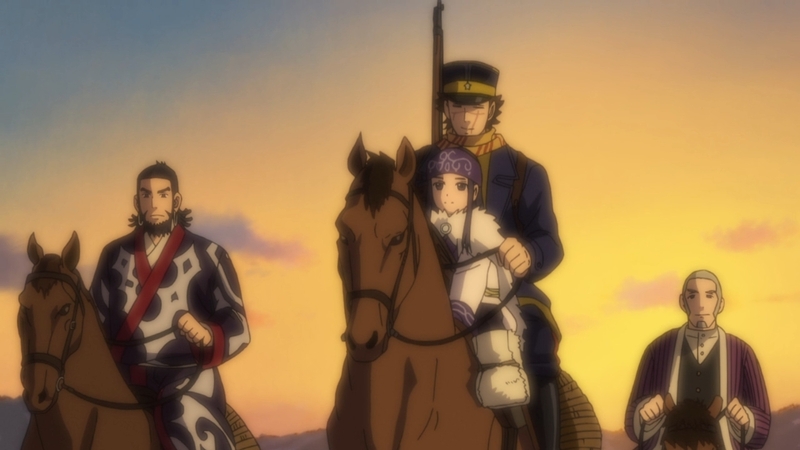 In the background, Hijikata and Tsurumi are still doing their own thing. 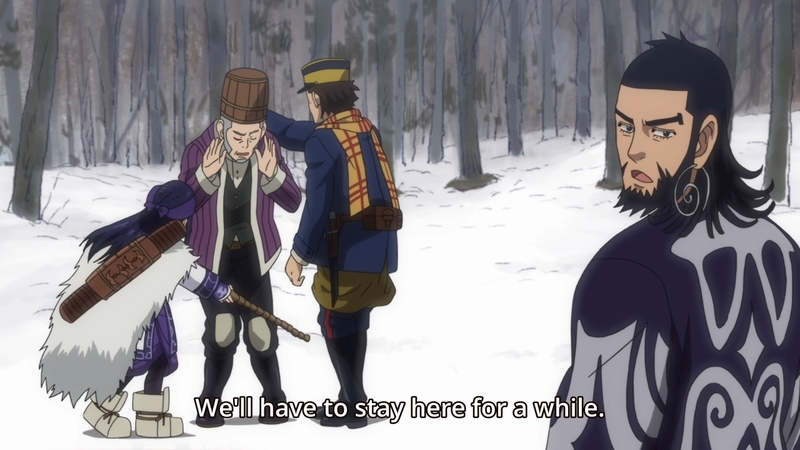 The biggest development here, I guess, is Ogata volunteering to be the old man’s bodyguard, but is that really anything to write home about? I don’t think so. 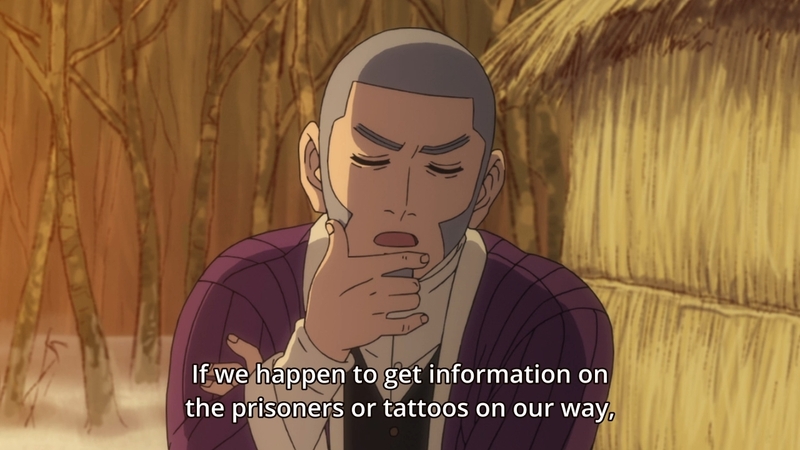 And sure, there are a few comedic moments with Shiraishi to enjoy, but in the end, I’m left feeling unfulfilled and honestly kinda bored with how first season decided to conclude itself. This is exactly what I’m talking about, too. Don’t you want to end on a high note so that your viewers are excited for the second season? Don’t you want people to wait with bated breath? Well, you won’t get that here. Anyways, if you’re really curious about what happens in this week’s episode, there’s really not much to say. 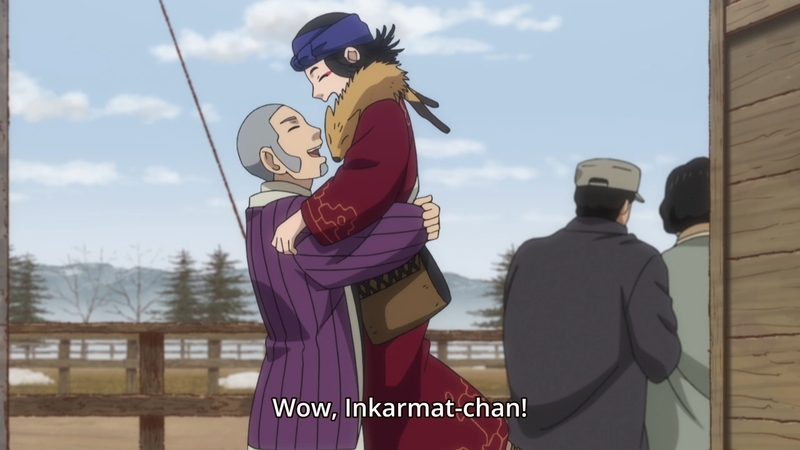 Inkarmat is a fortune teller in Ainu clothing. 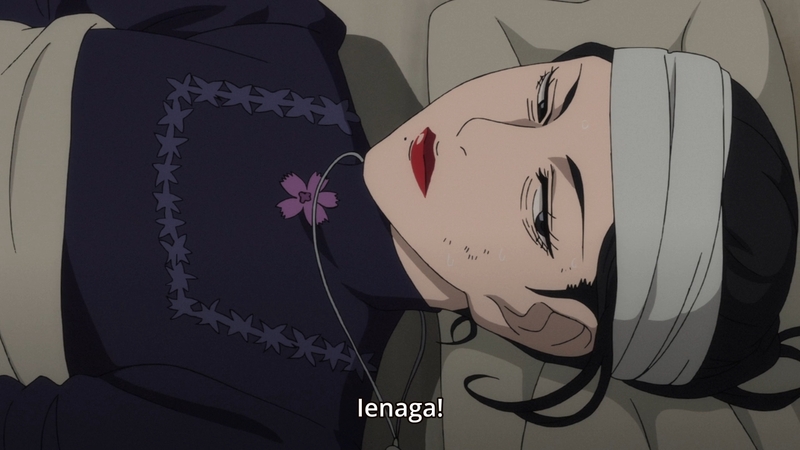 I’m not sure if she’s really an Ainu, though. I am sure, however, that she’s full of it. I mean, c’mon, all fortune tellers are scam artists. 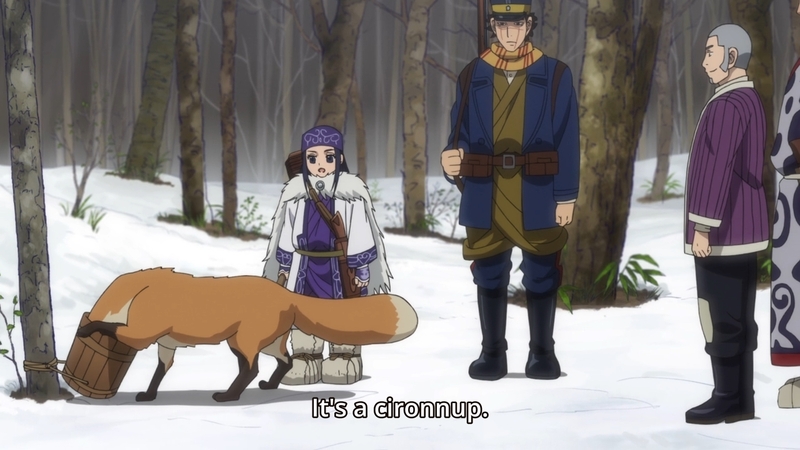 Luckily, Asirpa agrees. After all, she’s an Ainu woman for the new age. 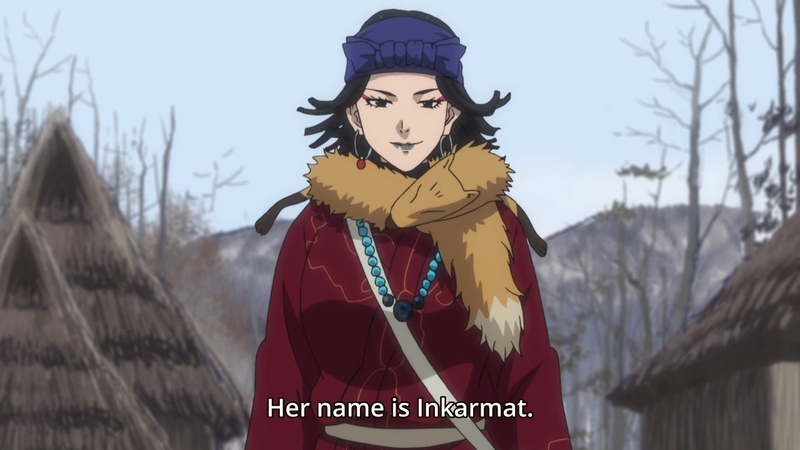 Sure, Inkarmat makes a lot of correct “predictions,” but we don’t know how much she really knows. 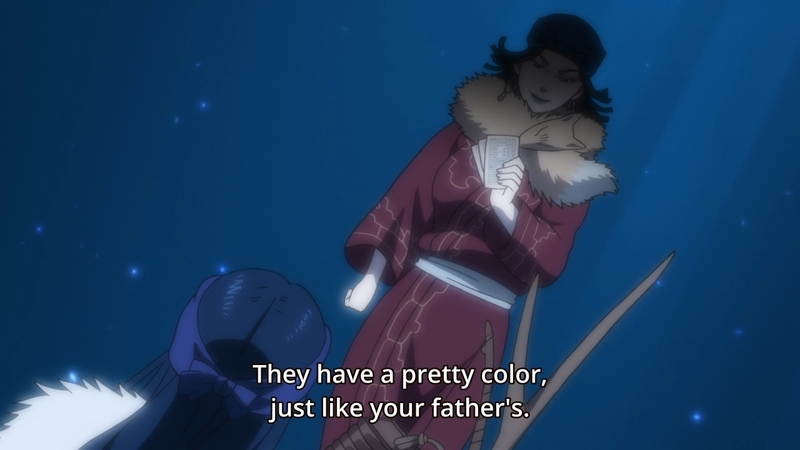 After all, it seems like she has met Asirpa’s father before. Otherwise, how would she know anything about his eye color? Anyways, Shiraishi is taken in by this woman, so he starts depending on her “predictions” to help him win at horse racing. She keeps winning him money at first, but we soon find out that the races are rigged by the yakuza. So who knows? Maybe she has connections with the criminal underground. Then for some reason, Kiraronke is roped into filling in for a missing jockey. 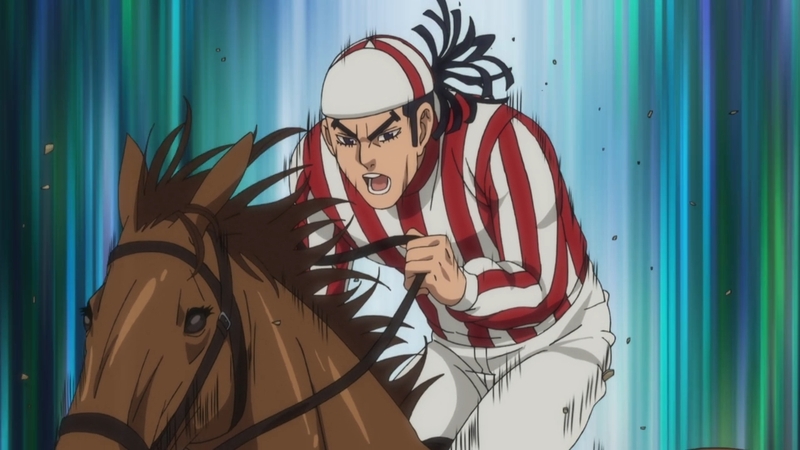 He ends up winning a race he should’ve lost, so Shiraishi loses all his winnings. 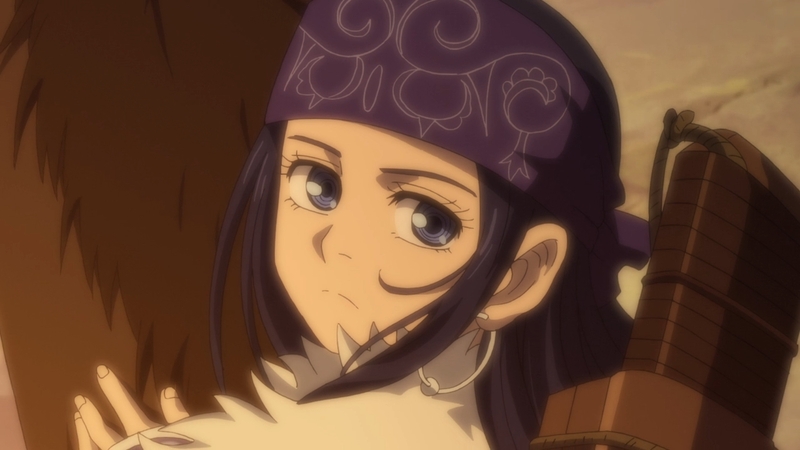 Asirpa worries that if Sugimoto finds an easier way to make money, he’ll give up on this journey and abandon her. But of course, our hero would never do that. And… well… that’s it. That’s the episode.